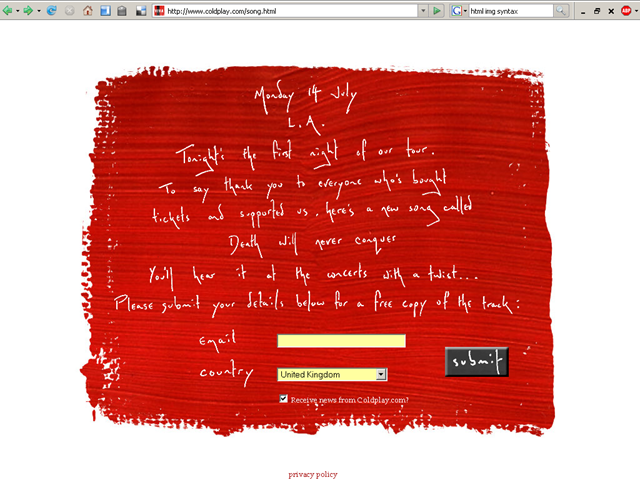 To celebrate the start of their North American tour Coldplay are giving away another song from their website called Death Will Never Conquer – to download it you need to provide an email address on the coldplay site. Note that the track is pretty sort and simple with pretty much Chris Martin performing solo at a piano. The track is also only 128kbps.